You may not know Jake Ryan, but you’ve definitely seen his work. 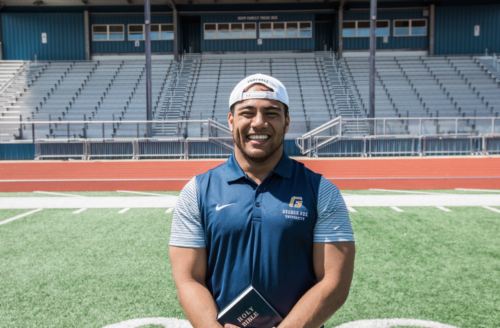 The junior sports photographer and business major from Lahaina, Hawaii, was one of the first student employees hired to the sports marketing department at George Fox when it was created two years ago. Jake is the man responsible for many of the great shots you see on the athletics website, and though his expert-quality shots might seem like the work of a tried and true professional, his passion for photography started out as a simple hobby not long ago. He found a mentor who helped him complete his senior project. Though his senior project had ended, his passion for photography had just started. 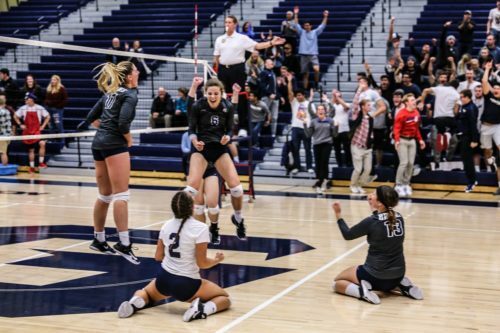 In Jake Ryan’s world, sports photography gives him a chance to give back to another community– the fans and athletes in Bruin Athletics. Jake knew during his senior year that his days of playing organized sports was coming to a close. 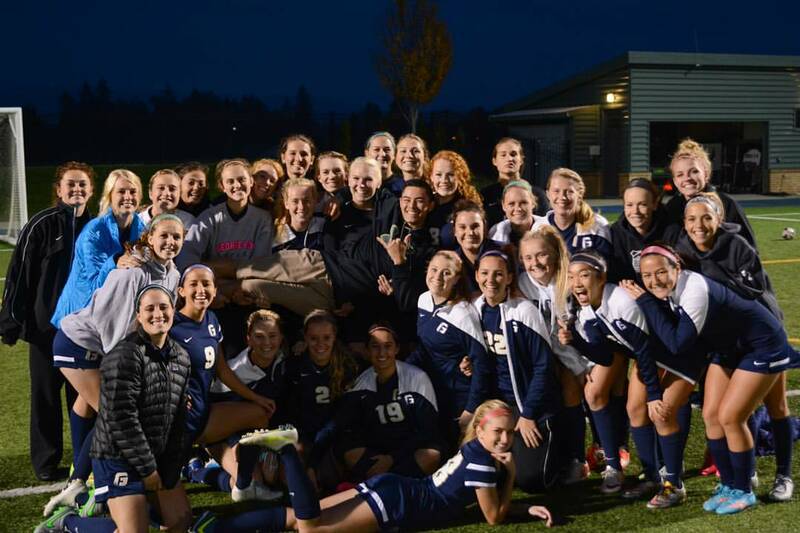 Being an athlete had been a life-changing experience for him and he wasn’t ready to say goodbye. 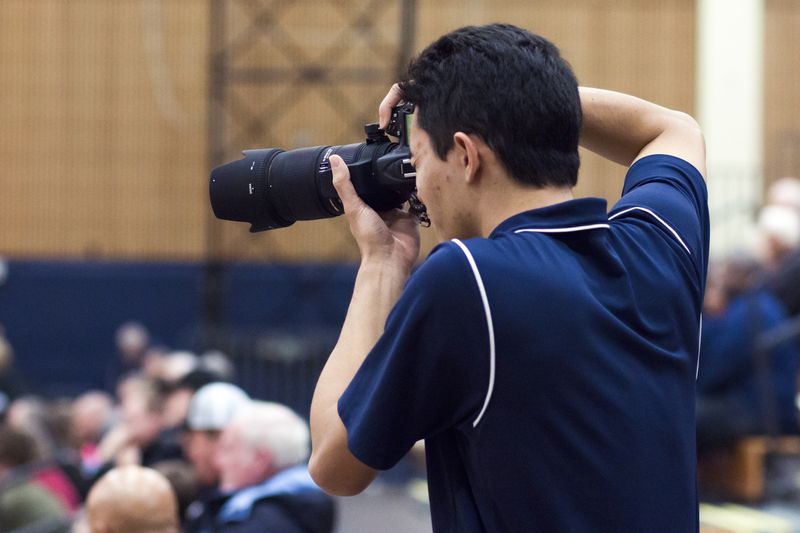 Before his time as an official sports photographer, it was easy to spot Jake working on his craft at George Fox. His freshman year, he attended athletic events dressed in his distinguishable outfit of shorts, flip-flops and t-shirt no matter the season (he’s from Hawaii, after all) with his camera around his neck. “I didn’t know what I was and wasn’t allowed to do, so I just walked around the field or the court taking pictures.” He posted pictures on his Facebook page, and word spread around the student body quickly that his Facebook was the go-to destination to download pictures for Bruin Athletics. 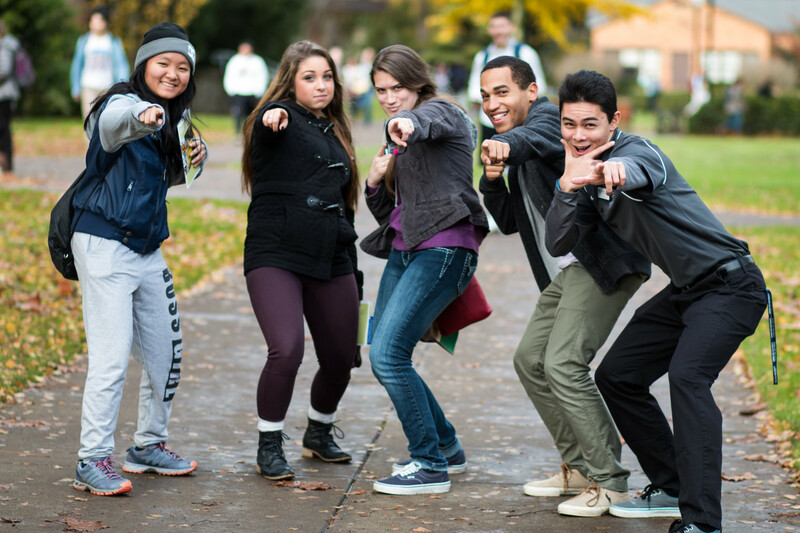 In addition to being the unofficial photographer, Jake quickly became involved with the Admissions office in their Ambassadors program. 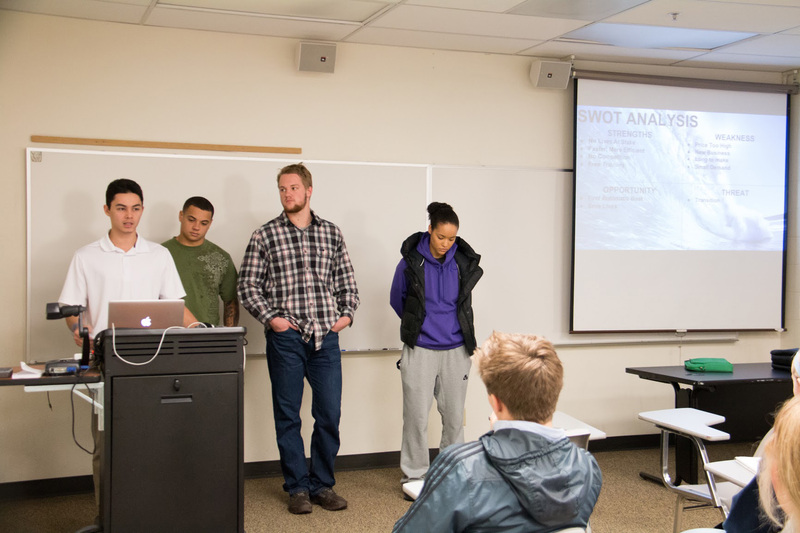 He regularly gives tours of the campus and living areas to prospective students. 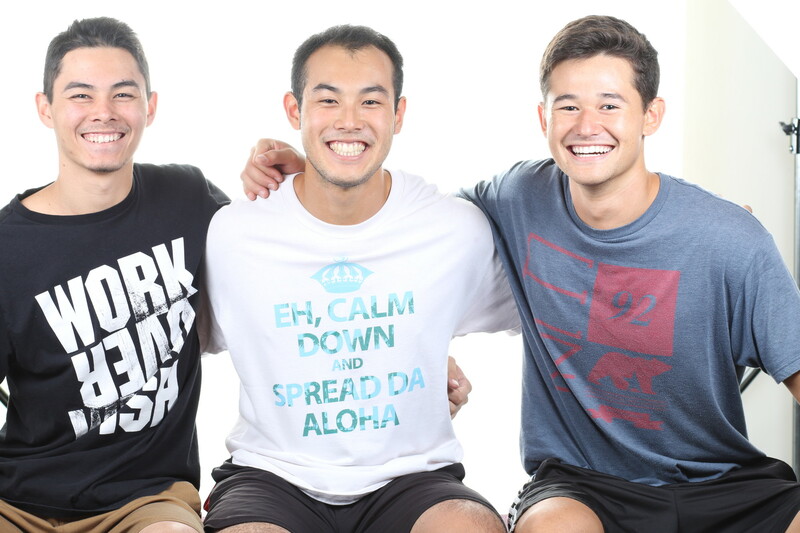 It also didn’t take him long to connect with the Hawaiian Club on campus and meet his current roommates, Michael Morikawa and Dylan Yamamoto. This is Jake’s third year in a row living in a freshman dorm while his roommates are Resident Assistants and Assistant Area Coordinators on campus. You’ll still find Jake at Bruin Athletic events with a camera around his neck, but now he’s sporting a George Fox polo or jacket instead of a t-shirt and flip-flops. 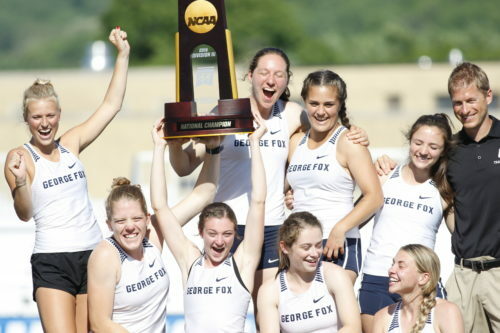 And now rather than post his pictures to Facebook, they’re posted to the George Fox Athletics website and photo galleries. His dream of being a paid photographer has come true, and the future is bright for this young professional.